If you are thinking of moving to Spain and wondering where to live, it is always interesting to hear what other expats living in Spain have to say about areas they have lived in. 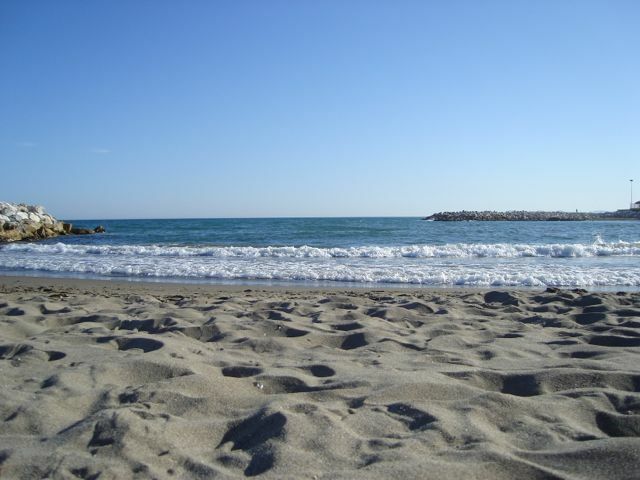 In this article, Alicia gives us her thoughts on two popular locations on the Costa del Sol. She talks about living in Benalmadena and the maybe lesser known Alhaurin de la Torre. When you think of the Costa del Sol, sun and sea instantly come to mind. Benalmádena sounds familiar to many, having been a popular holiday destination for many years, but the less well-known Alhaurín de la Torre is very close by and can offer an alternative way to be on the Costa del Sol but with fewer of those holidaymakers. Living in Spain has many advantages, and for a majority of people the decision to relocate here can be reduced to several key factors (lifestyle, climate, or work) and the location of a new life in Spain will depend on the priorities each of these factors has. Once this has been decided, and the Costa del Sol has been ‘chosen’ as a location of interest, there are still many choices of places to live, each with their pros and cons. This is where the comparison of Alhaurin de la Torre and Benalmádena comes in handy. As per many places along the coast, Benalmadena has its roots in the fishing industry. However, what used to be a sleepy attractive fishing community is now a buzzing spot for visitors (both international and national). Pretty Torremolinos on one side and an increasingly international Fuengirola on the other flank Benalmádena’s long stretch of coastline. 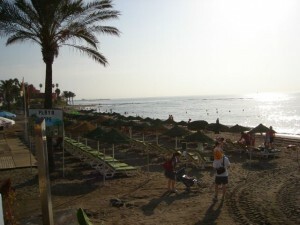 Benalmadena boasts some lovely beaches. Well cared-for and with gentle coves, the inviting Mediterranean sea suits families and sun-lovers alike. The beaches are nice for swimmers, and a personal preference was enjoying the peace and ‘early-morning’ sun between 08.00 and 11.00am before the hoardes of tourists descended. 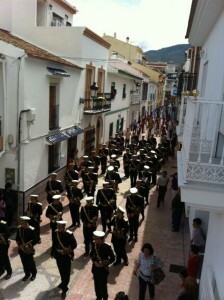 Benalmádena is not just all coast. 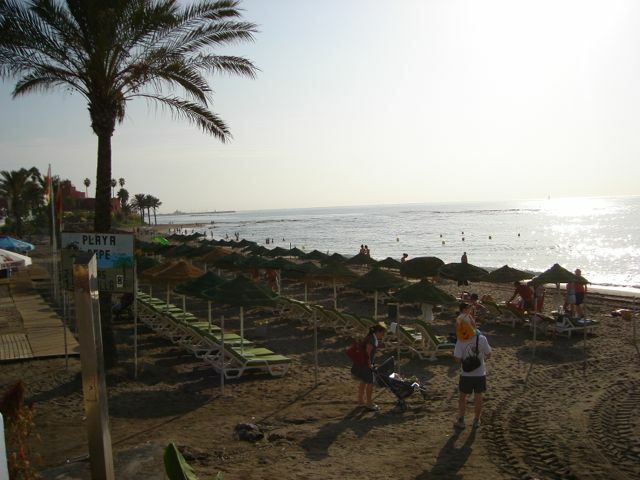 In fact it has three very distinct areas – the beaches and port area, Arroyo de la Miel, and Benalmádena Pueblo. Each of these are very different, and will target a different set of criteria. Puerto Marina (the port) is an attractive area with expensive looking yachts surrounded by a unique architecture of residential buildings. A relatively newly constructed area (launched in the early 80’s) this is a desirable location for many, seeing as it also boasts many shops, restaurants, bars as well as mini-golf and the sea-life centre (http://www.visitsealife.com/benalmadena/). For those who want more of a ‘town’ lifestyle, Arroyo de la Miel is just that. Situated further up the hill and maybe a 20 minute walk from the coast, this is a traditional Spanish town without any pretensions of being something it’s not. Supermarkets, libraries, schools, shops and bars are all at hand, and the railway station on the cercanías line (running from Fuengirola to Malaga centre) is right in the centre of the town. Up here you have Tivoli (an attraction park with all the fun of the fair all year), Selwo Marina where you can watch dolphins play, swim with the sea-lions, or observe other sea-based creatures (www.selwomarina.es), or even head up the mountain via the cable car (www.telefericobenalmadena.com) where you can enjoy amazing views of the whole Costa del Sol. Benalmádena Pueblo is a traditional looking Andalucía village, even further up the hillside and further away from the other two areas of Benalmádena, but offers a different sort of lifestyle. For those looking to integrate themselves into village life this would be ideal, as the small town offers all the shops and amenities that you may need, wonderful views, and a true community feel. 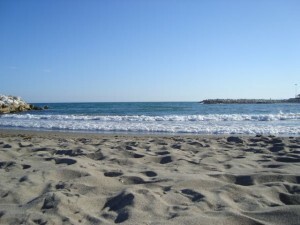 Its location means that it is also very accessible from the motorway connecting the various towns along the Costa del Sol. 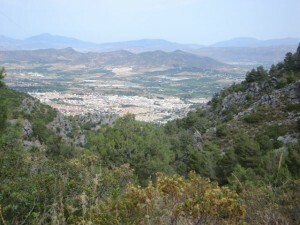 Alhaurín de la Torre (frequently referred to as simply Alhaurín) is not to be confused with its larger neighbour Alhaurín el Grande. Alhaurín is often overlooked by visitors to the Costa del Sol, in search of more eye-catching or more well-known places, but in fact has plenty to offer, and is rapidly growing in popularity. House prices are notably cheaper than those in the coastal areas, either for renting or buying. Rent-wise 500€ a month in the coast may get you a one bedroom flat, but with 400€ in Alhaurín you may be able to enjoy 2-3 bedrooms, plus an outdoor space. For anyone interested in living in the middle of the countryside even more bargains are to be had, with small cottages available to rent for similar prices. Buying property in either area has similar proportions with regards to what you can get for your money. Food prices are also slightly cheaper, as Alhaurín is not considered such a tourist hub, and this is reflected in these other costs. Despite being a town with a population close to 40,000 inhabitants, Alhaurín still feels very village like and the centre itself is relatively small. Only 30-40 years ago what is now the main shopping area in town was an un-asphalted space, with dust tracks instead of roads. In fact, the area behind where I lived (now a small car park) not so long ago was used to keep pigs and other farm animals. This feeling of being in the countryside (or the campo) is not easily forgotten as both fields and mountains surround the town, and it is an excellent area to go hiking or walking. Although Alhaurín is not on the coast, it is only 15-20 minutes away from the beaches of Torremolinos and the same distance from the centre of Malaga and all it has to offer. It isn’t on any train lines, although the one located at the outdoor shopping centre Plaza Mayor is nearby, but it is very close to the airport (strategically located only 10 minutes away, yet is not on any flight lines). The closeness to the airport makes it very convenient for visits abroad and is close enough to dash back home for a forgotten passport (speaking from experience…). Both Benalmádena and Alhaurín de la Torre are great places to live and have plenty to offer in terms of amenities and natural environments. Benalmádena is better equipped for tourism, with plenty to see and do, and understands the need for information and structure that many visitors like to have, although this does mean that you are rarely without tourists nearby. It also has a strong ex-pat community which may be a plus or a minus depending on your perspective. Alhaurín is a bit more authentic and feels more Spanish, although this can be less easy to deal with when it comes to finding out where to go/what to do. They are both near enough to ‘the big city’ (Malaga) for anyone interested in other cultural activities, so a key factor may simply be the proximity to the sea. As Benalmádena has various ‘faces’, this allows for a certain level of flexibility when choosing where to live within the area, but for me Alhaurín offered the perfect balance of countryside living and town-life, yet still being close enough to the seaside without the stress of sharing my space with holidaymakers. Alicia studied Cognitive Science at Leeds University, graduating in 2005. In 2006 she moved to the Costa del Sol and although was originally based in the tourism sector she now works in an international association in the Technology Park of Andalusia, as well as teaching English in her spare time. She loves living in Spain and is a collaborator with www.andaluciainterior.com where she writes articles in English, sharing thoughts and information about inland Andalucía. Do you agree or disagree with Alicia’s thoughts? Where would you rather live? Post your comments and we will welcome other ideas too about where to live in Spain. 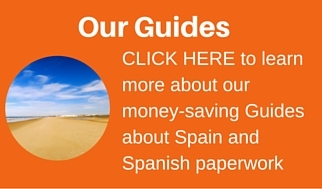 If you are thinking about moving to Spain, watch out “Moving to Spain videos” for lots of essential information.